For a long time, social media specialist believed social media websites like Pinterest, Google+ and YouTube were just poor imitations of Facebook. They function similarly, yet Facebook was first, so by rights it should and is the most popular, right? Not necessarily so! Now more than ever, online business specialists realize that these social sites can be just as important in their own rights, as the other more conventional social media websites. In fact, these social networks can offer important indexing and optimization benefits as well as their social connectivity benefits. 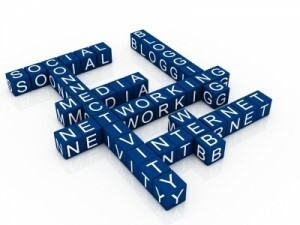 Let’s defined below how these three social media websites can benefit any business. Besides being social, allowing you to connect with specific circles, Google Plus is different from other social sites in that it actively integrates with Search Engine Optimization (SEO) too. It allows audiences to access a business websites through the user’s friends. So if the friend of a user has used a certain attorney and mentioned it on his Google Plus account, then that attorney’s website will show up in any search made by this user’s friends, when they need that particular service. Social media is of definite significance to the Google’s listing algorithm, and websites that especially participate in the Google social platform tend to get listed on the Google search index pages better. Google is now looking at its own social network to better rank sites and offer important authorship benefits for blog writers. Pinterest is another unusual and interesting social media website. Most businesses underestimate the power of this social platform because it is only visual. The media used on this sight is image based. Even so, it offers great potential, especially to businesses within certain niche’s. Statistics show that about 80% of women consumers enjoy using this social site, especially when referring to recipes, fashion, home decor or other interesting pictures. Don’t underestimate the value of a good picture, as a click on any of these can take a reader to the organization’s website. The key to being successful here is to create visual boards in a particular niche and ensure that each board is keyworded correctly. While the more traditional social media websites are important, often business owners find it beneficial to work on more than one social media site at a time. Those that an organization participates on will depend on the purpose; whether it’s to promote brand awareness, bring in leads, demonstrate authority or connect with customers.